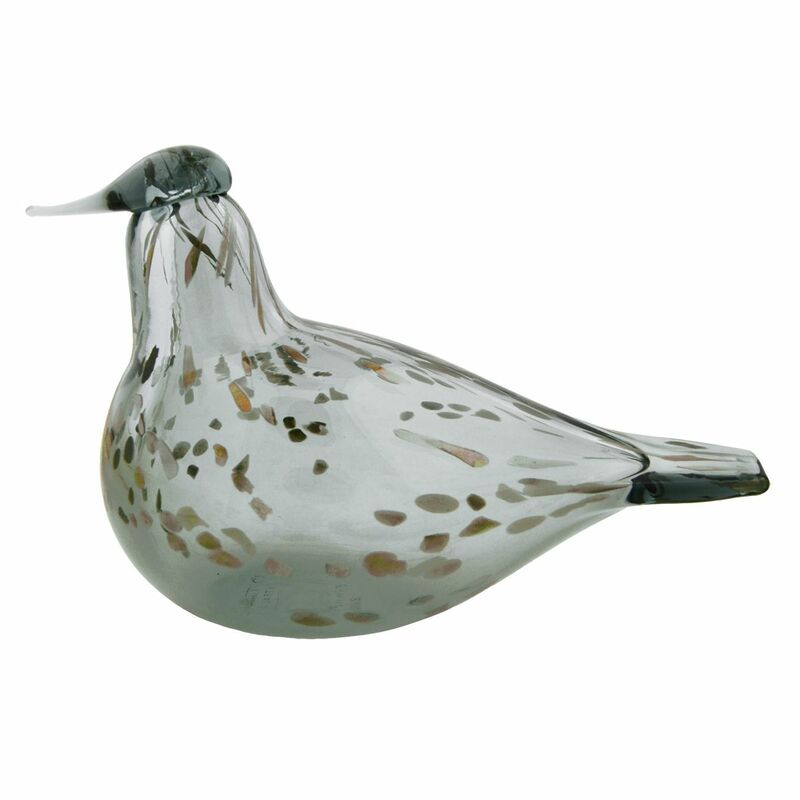 More about iittala Toikka Grey Dove - FinnFest 2018 Bird With only 300 handcrafted by iittala's blowers in Finland, it's imperative that Toikka collectors quickly acquire one of these special edition Grey Doves. This bird was designed by Oiva Toikka especially for FinnFest 2018, which has taken place in Finland for the first time in historically North-American event's 35 years. There in Tampere, attendees could likely have caught a glimpse of nature's grey Stock Dove that frequents nearby parks and wooded areas. The dove has a grey translucent body that is beautifully speckled with gold luster flakes which change in iridescent color as the light dances upon them The bottom is engraved "O. Toikka IITTALA FinnFest 2018" to ensure authenticity and remind you of its special origin. Add this to your own glass bird collection, or encourage a friend to start or continue theirs when giving the ittala Toikka Grey Dove as a one-of-a-kind gift this season.